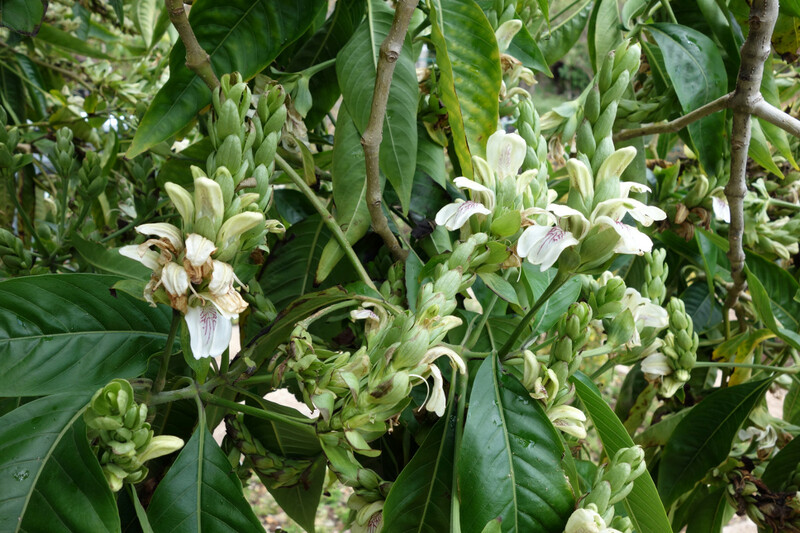 Evergreen dense shrub of northern India, naturalized in India, Sri Lanka, Southeast Asia, up to 2.5m high, with unpleasant smell; stem bark yellowish; leaves simple, petioled, lanceolate to elliptic, entire; white flowers in axillary spikes; spikes with long peduncles; fruit a 4-seeded capsule, 2-2.5cm long, seeds 5-7mm in diameter. The leaves contain the quinazoline alkaloids deoxyvasicine, vasicine (0.96%) and vasicinone (0.03%). Vasicine undergoes auto-oxidation to vasicinone, but the rate is very low. „… even at the highest clinically used doses ambroxol does not have significant direct effects on the CNS. At clinically relevant plasma concentrations ambroxol either does not penetrate blood-brain barrier, or its brain levels are too low to cause relevant effects.